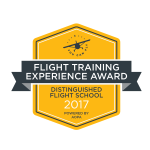 Bravo Flight Training, located in Frederick, MD, was founded in 2016 with a simple goal in mind: to provide an unparalleled flight training experience to its students. Because it is operated by a full time flight instructor, Bravo Flight Training can offer a level of personalized attention that is rare within the industry. We love to fly, and our singular passion is to share the fun and the excitement of aviation with all of those who have ever dreamed of taking to the sky. Have you, or someone that you know, always wanted to fly? Have you ever thought that piloting a plane sounds like fun, but that the possibility is out of reach? At Bravo, we can make your dreams a reality by putting you at the controls of one of our aircraft alongside a highly qualified instructor—allowing you to try your hand at flying even if you have no previous experience! A Discovery Flight is essentially a standalone lesson. We will begin by discussing how an aircraft works, and will then demonstrate preflight procedures. Once the preflight is complete, we will take off for a half hour flight, during which control of the aircraft will be turned over to you! 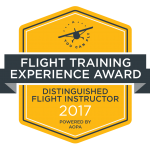 For those interested in flight training, Discovery Flights represent a perfect, no-obligation way to find out what it is like to fly a plane. They also make incredible gifts! At Bravo Flight Training, we have dedicated ourselves to providing the highest quality flight training available anywhere, and to ensuring that our students learn in an environment that is both fun and safe. Our school is located in an area that is perfect for flight instruction. In addition to offering beautiful scenery, the skies around Frederick, MD also offer students the opportunity to experience a variety of different types of airspace. Outside the cockpit, Bravo Flight Training offers both social and educational activities to students—activities that allow students to learn from one another while also networking with other pilots and professionals within the aviation industry. Many of these opportunities are unique to Bravo, which is why our school is the choice of so many new aviators looking to enter the exciting world of flying.